Elk Grove Police is seeking assistance locating 79-year-old Nellie Bell who is suffering from early stage dementia. Ms. Bell is described as African-American, 5' 0" 130 lbs. gray hair and was last seen wearing a blue dress (see photo below). 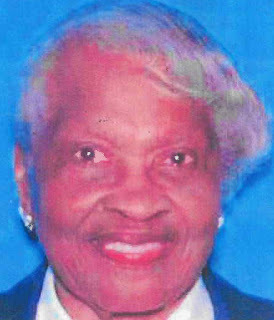 Ms. Bell was last seen driving away from her residence in a silver Mercedes C230 plate number 6FVY938. Anyone with information about Ms. Bell is asked to call the Elk Grove Police Dispatch Center at (916) 691-5246. No Comment to " EGPD Seeks Help Locating At-Risk Person "